The cost of running a VPS is becoming cheaper and cheaper. There are more things we could get for the same bucks. Once your site is ready for a VPS, there are multiple server stack options available, than the traditional LAMP setup. For example, you could completely ignore Apache and can use Nginx with php-fpm . Either case, you wouldn’t have any issues related to IPs in comments. However, on a complicated setups, such as Varnish => Nginx => php-fpm or Nginx => Apache, or Varnish => Apache, WordPress doesn’t display the IP address of the visitors correctly. There is nothing wrong with WordPress. It’s all about the implementation. 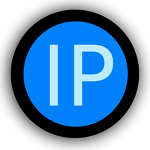 Forwarding the correct client IP can be tricky as the complexity of the server stack increases. There are situations where you just don’t have any options to forward the correct address. Lately, I installed Varnish in a MediaTemple dv server. By default, it comes with Apache. However, no matter how much I try, I could not enable mod_rpaf for Apache. I’m not alone, either. There is a quick fix, provided by the community. I do not trust such quick-fix solutions. When I searched the internet, I found some great solutions. However, each has its own advantage and disadvantage. # Replace the variable name to be unique! As you may understood, some techniques can become a performance bottleneck, if used incorrectly. Still the best way to achieve this, is by using the server-side tools you have. So, please use the above techniques, only if you really need to! If using Varnish, this is what you need to do. I’ve tested it, and it does the job. Not sure why the <code></code> tags got removed. Appreciate sharing the solution that worked with Varnish. On code tags: You seem to have used < and >. However, the syntax highlighter plugin accepts only [ and ]. So, I fixed it now. Previous PostPrevious W3 Total Cache 1.0? – Sneak Peek!